Help at fund raising events - we regularly attend stalls at various events round the county and are always looking for helpers to run these stalls. 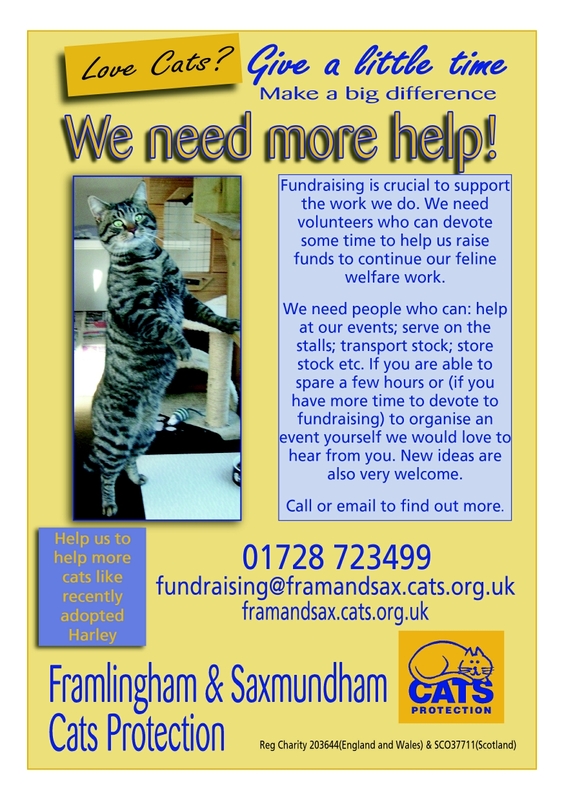 It is a great way of helping the cats and kittens in our care as it raises much needed funds and is also a great way of meeting other people. It is good fun! Hold a fund raising event - coffee mornings and bring-and-buy sales are always popular events. How about arranging a Paw-some Afternoon Tea party for your friends? Click here for details. 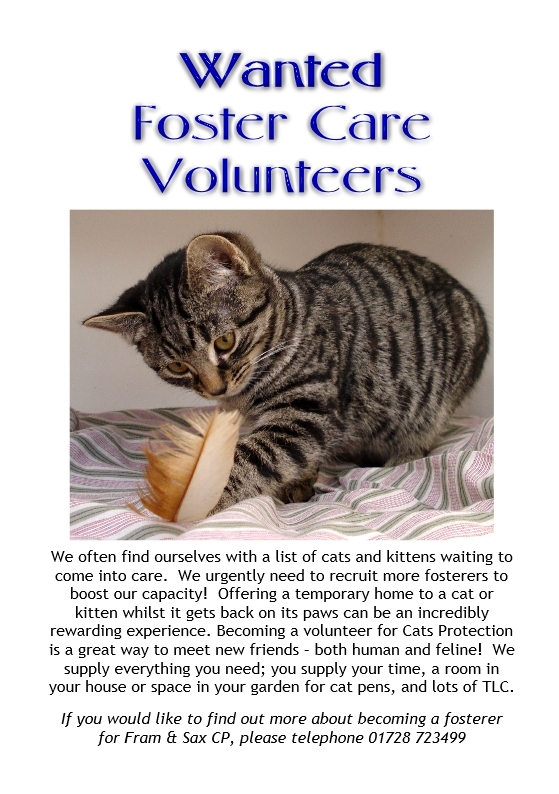 Fostering - (see pic below) we need people to foster cats and kittens on a short term basis whilst they are looking for their new homes. This could mean the installation of a cat pen in your garden or giving up a spare room for a an older cat or for a mum and her kittens. All expenses are paid for by the branch. Click here for details.